SIMCOE, Ont. – To add yet another notch to its already heavily marked-up belt, Bruce R. Smith Limited has reached another milestone, having celebrated its 60th birthday in June. 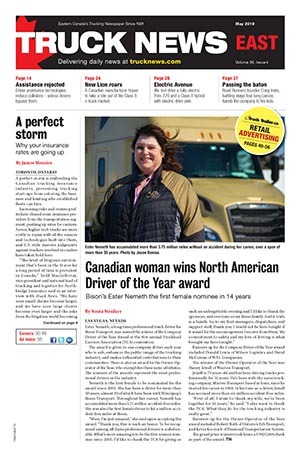 The company also recently cracked the list of the top 20 largest trucking companies in Canada. Not bad for a company that started out with just one five-tonne truck all those many decades ago. 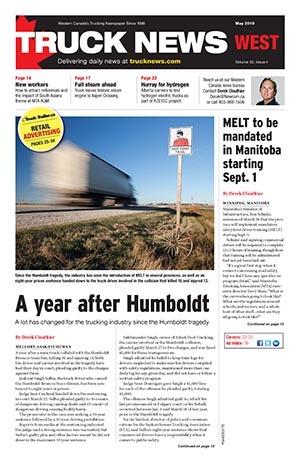 The company’s namesake and founder, Bruce Smith, started hauling milk with his International K-8 – affectionately known as Old Red – in the tiny farming community of Walsh, Ont. in June 1947. Up at the crack of dawn and working straight until sunset, Smith quickly made a name for himself because of his strong work ethic and reliability, eventually buying the truck and the milk route from its previous owner. Over the next 30 years, Smith continued to dabble in agricultural freight and grew the company to 10 rigs and trailers before handing the reigns over to his son, John in 1977. Another 30 years later and the company has grown to a fleet of 430 strong with 638 employees. So what has kept Bruce R. Smith so successful for so long? According to Roger Davis, senior director of risk management with Bruce R. Smith, customer service plays a key role in the company’s success, which includes offering specialized equipment and service for such big names as Coca-Cola, Labatt, Molson and Kraft. 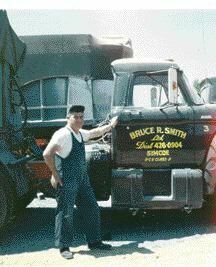 And despite being one of the biggest trucking companies around, Bruce R. Smith still takes pride in maintaining the same small town values that were so important to the company’s founder. As for the future, John Smith is looking forward to continuing to grow his father’s business, which has doubled in size over the last six years. Though the senior Smith has now passed away, the company still tries to operate using the same theme that saw it through its first 60 years: look after the customer, look after each other. Do you know what drivers want?